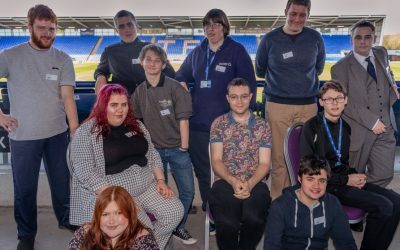 Enable works closely with local colleges in Shropshire, Telford and Wrekin to provide individuals with an Education, Health and Care Plan (EHC Plan or EHCP) with the chance to gain work experience through Supported Internships. This is a year-long course, in which the individual is selected by the college to take part in a work placement that is in line with their interests – giving them the opportunity to take the first step into the life of employment. The supported internship is made up of college attendance and work experience with an employer. This is flexible and can be spread between two and four days. Enable offers guidance and support throughout the placement by communicating directly with the employer and the college. What is the timetable for a supported Internship? Shropshire’s local offer helps families, children, young people and professionals to support those with special educational needs or disabilities to find accurate and appropriate information so that they can make positive decisions about their lives. Click here to view the SEND Local Offer! Interns must be college students and will work with the employer, Enable and tutors to ensure the best opportunities for successfully gaining paid employment.